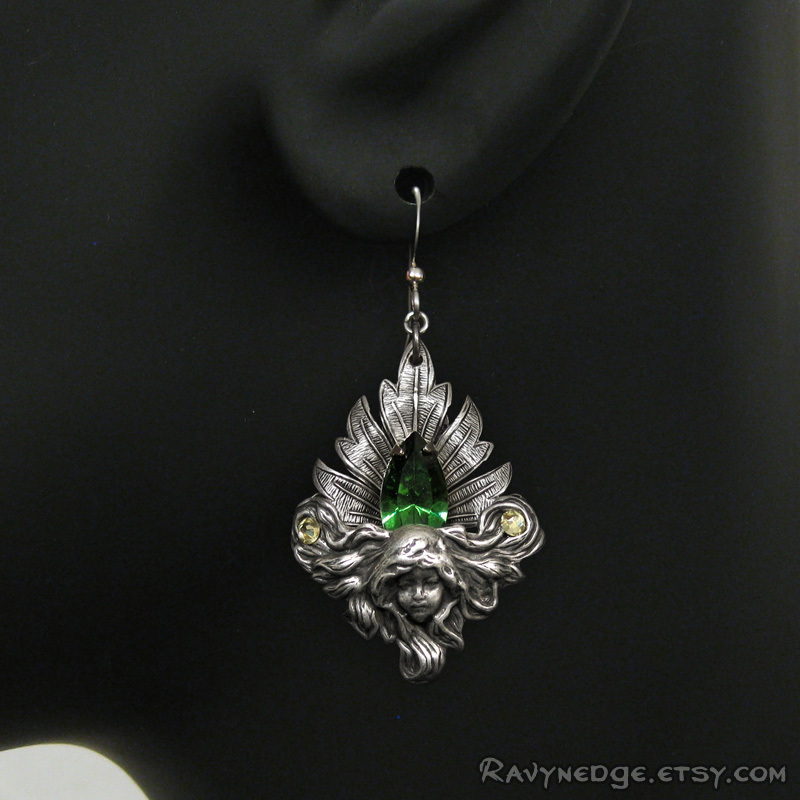 Child Of Nature Earrings - Green Tourmaline Swarovski and Silver Filigree Dangle Earrings by RavynEdge. 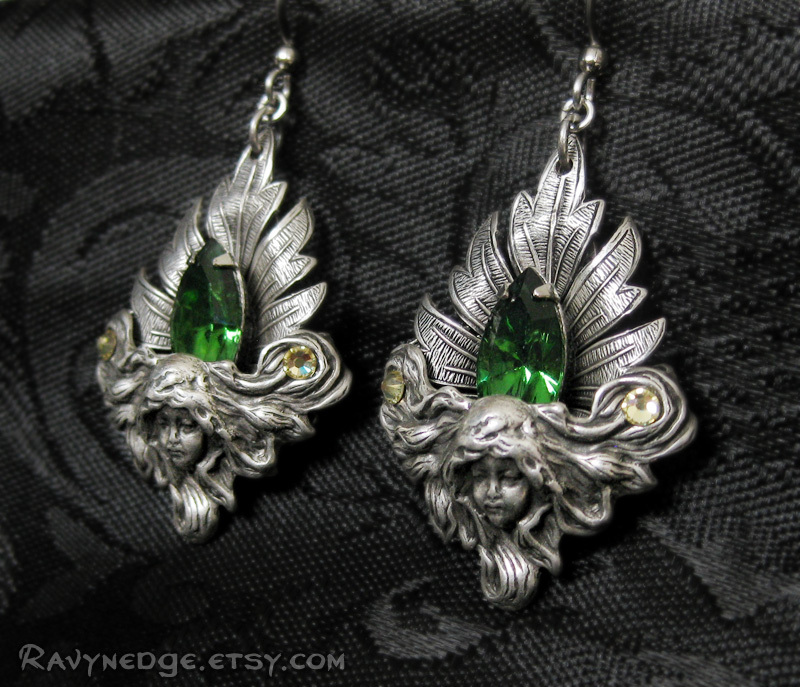 A green tourmaline Swarovski navette is nestled between a silver leaf and the visage of a beautiful woman. 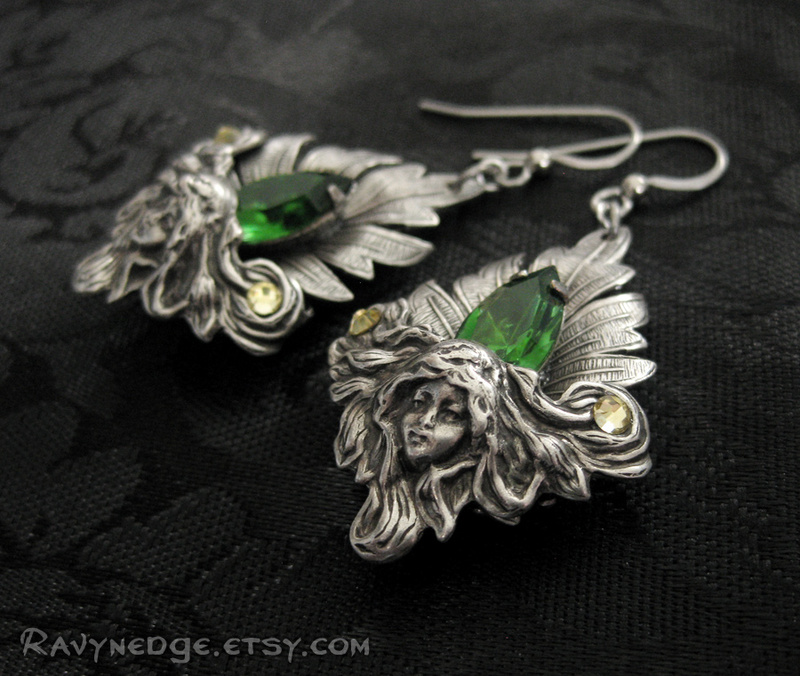 Within the curls of her windblown locks are sparkles of jonquil Swarovski. 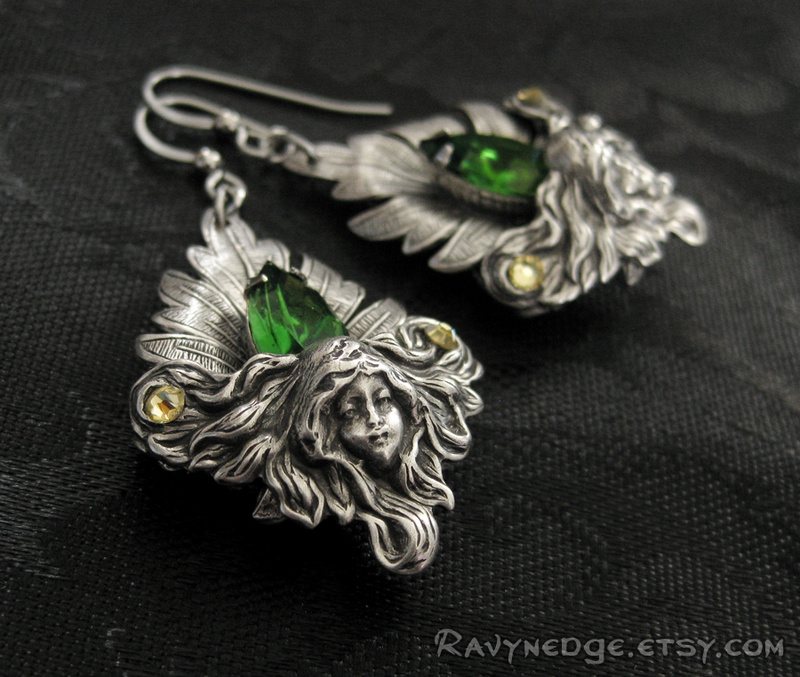 These earrings have great movement. 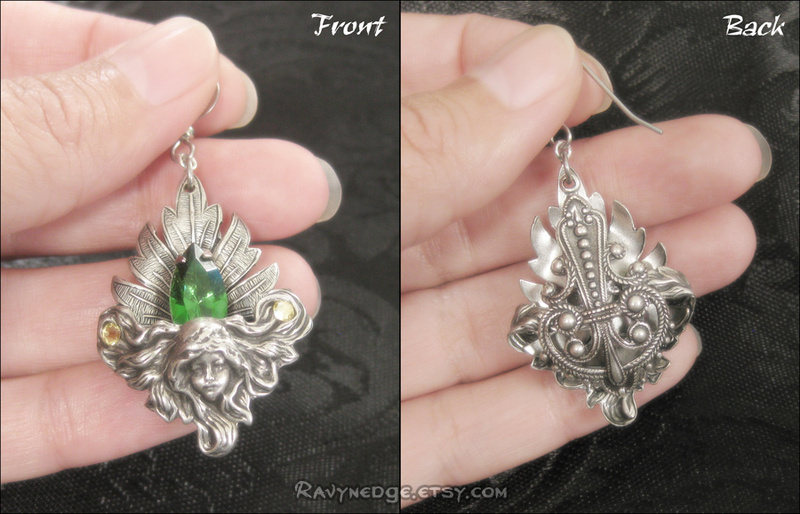 The back is decorated in case it happens to be seen.